This has to be one of the coolest collection yet. Who remembers playing with paper dolls and folding all of those little tabs over so the clothes stay on your paper doll. I remember and it was always hours of fun. This collection consists of 8 different double-sided sheets with 4 of them having dolls to cut out and one sheet of dolls and clothes for you to color yourself. How cool is that. The other 3 sheets are coordinating prints along with a coordinating print on the back of each paper doll sheet. 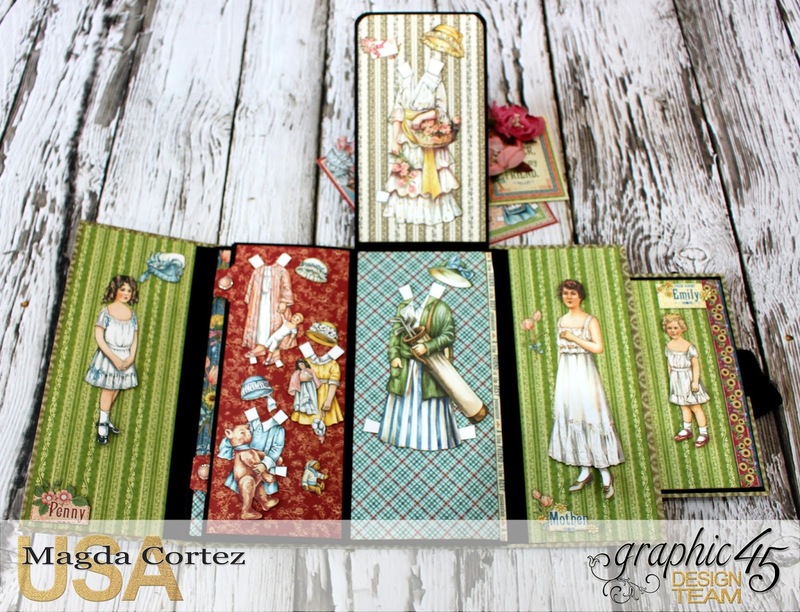 The collection has a 12 x 12 and 8 x 8 scrapbooking paper pad and a coordinating 12 x 12 Patterns & Solids paper pad (new 16-page size), coordinating chipboard, cardstock tags & pockets, journaling & ephemera cards, and decorative cardstock stickers.